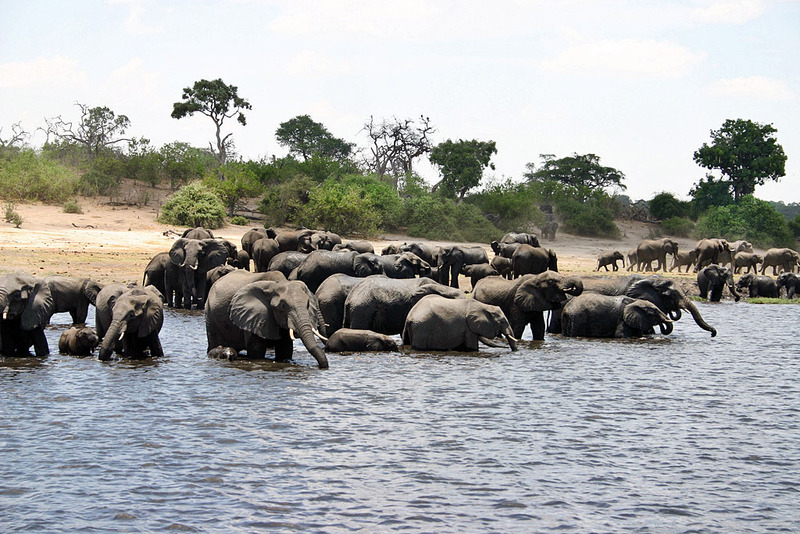 The Lower Zambezi National Park is located 100km upstream from Victoria Falls and opposite the famous Mana Pools National Park in Zimbabwe. Previously a private game reserve owned by the President, this is the newest of the National Parks in Zambia. This has resulted in the park being quite protected and underdeveloped, keeping it in its wild pristine state! The Zambezi River forms the natural boundary between Zambia and Zimbabwe and is a highlight of a visit to this National Park. Here you have the opportunity of land and water activities. The camps in the Lower Zambezi are a bit more relaxed and will plan activities around guests. This makes a more personal and lighter Safari. Game is abundant in the park. Often big herds of elephant are seen; buffalo and antelopes on the floodplain, plenty of Lion, and Leopards also make an appearance. Hippo’s and crocodiles dominate the river and banks. Birdlife is abundant. There is a fabulous selection of accommodation in the Lower Zambezi. Luxury Tented Camps like Sanctuary Zambezi Kulefu Camp, with spectacular views and individually designed. Exclusive bush chic luxury and romance at Sausage Tree Camp, perfect for honeymoon. Unique private homes like Chongwe River House sleeping a maximum of 8 guests. And authentic , intimate”back to bush” experiences at Old Mondoro. With the relaxed, remote and slow pace of life in this wilderness there is less structure to your day. Lodges offer a variety of activities and will plan days according to guests in camp. Game drives day and night are still options if you are not feeling very active. You can wind your way down the river on a canoe safari and take in river action. The Lower Zambezi also has some of the best and biggest tiger fishing in Africa!